You eat food in order to live! True, but why you should you not expect a lingering taste remaining behind while your digestive juices go to work after a meal? Sounds philosophical? Not at all! 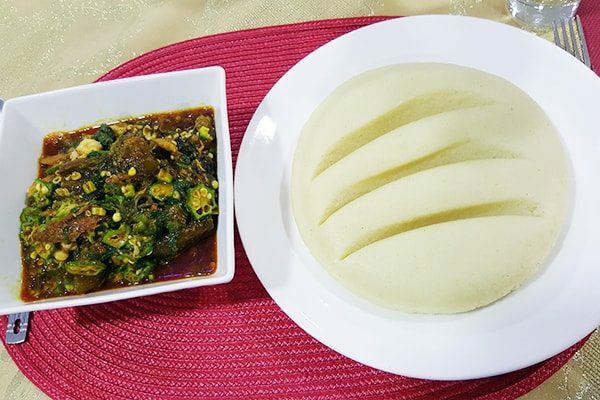 It is nothing but the truth that comes to the top of your mind once you savour the beautifully pounded yam brought to you from the deep reaches of Nigeria courtesy Olu Olu Foods. You would not want to fall on the yam in its natural form, exciting though it may sound. The early men might have done so but you know the art of cooking. However, the hours of gruelling work that one had to put in for preparing the pounded yam flour is a dying technique now thanks to the modern technology. There are a number of devices including the age-old mortar and pestle for grinding it with food processors standing head and shoulders above the rest of the equipment when it concerns making the much favoured Nigerian pounded yam flour. You will not be motivated enough to go ahead and source whole yam roots, clean it and pound it painstakingly ever again once you find what Olu Olu Foods has in store for you. Yes! 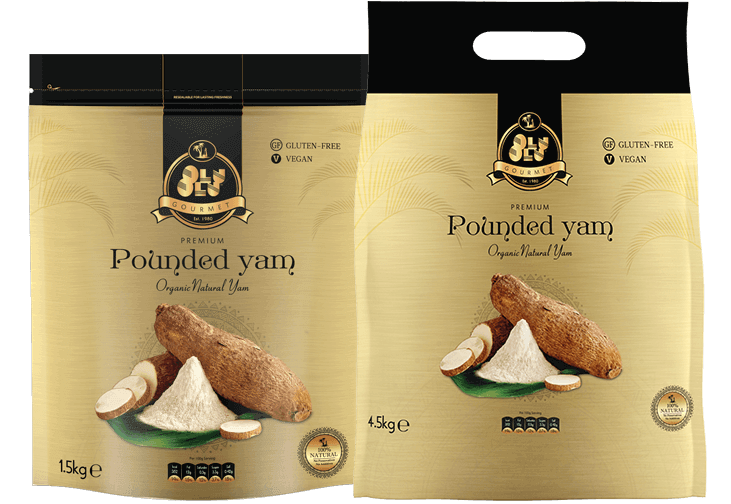 You can buy pounded yam flour straight from the masters offering a range of exotic and ethnic African foods now. Why should you bother yourself with the primitive practices when it comes to you neatly packed without compromising on the taste or nutritive value? Gear on to get a taste of the fantastic food by making yourself a big, wholesome plate of poundo, this Sunday. No issues! You are free to spend a good part of the morning in bed this time as you can whip up your bowl of delicacy in minutes. Just thanks your brain for having remembered to buy pounded yam from Olu Olu. Sway to African music as you get busy mixing hot water to a cup of the pounded yam flour. Stir it briskly with a wooden spoon and build up a smooth lump of the right consistency. ENJOY!